On the Road to Success – receives very positive feedback. Publish to Flourish: An Leabharlann and beyond! On the 27th of June on the newly developed DIT campus in Grangegorman, a range of librarians and colleagues from Higher Education came together to hear about and discuss L2L (Librarians learning to support learners learning); a two year project which plans to explore the application of the National professional development framework for all staff who teach in Higher Education to the work of teaching librarians. This project promises to result in a framework which academic librarians can use to guide their own professional pedagogical development and tangible, demonstrable evidence of professional development (such as digital badges or awards). One of the major draws of the project (spear-headed by Dundalk Institute of Technology, Institute of Technology Carlow, & Dublin Institute of Technology) is the proposed development of a vibrant and inclusive community of practice which can share the issues, challenges and best practices particular to the work of teaching librarians. Herein lies the real value of the project for me and other academic librarians who may work in small institutions and yearn for a network of like-minded practitioners with whom to share our successes and failures in the hope of improving and developing our praxis. Funded by the Teaching and Learning Enhancement Fund, the project also allows librarians working in Higher Education in Ireland to develop a shared language and currency with their academic colleagues which will hopefully promote a deeper understanding of the meaning and value of our work with the students and staff in our institutions: information literacy (and a range of other academic, digital, and meta-literacies) -concepts which can be difficult to articulate and to measure in practice. The day began with a presentation by Roisín Donnelly (currently on a year’s secondment to the National Forum from the Dublin Institute of Technology, where she has worked for 17 years as an Academic Developer), who explained the background of the Framework and the project in general, as well as how professional development can transform roles and identities. She described forms of non-accredited professional development activities which many of us engage in regularly without any formal recognition. These activities include (but aren’t limited to) reflective practices such as the creation/maintenance of learning/teaching portfolios, blogs and journals. Next up was Dr. Claire McGuinness, who helped to contextualise the project by giving an enlightening talk on the past, present and potential future of teaching librarians globally and in Ireland. She described research which explored the teaching aspects of the academic librarian role and identity with all of its complexities, uncertainties and cross-functionalities. The concept of information literacy is (as she said) ‘nebulous’ and has received a mixed reception outside of academic library circles. Some of the research she cited was familiar to me but much of it was not – and I left with notes packed with useful references. Before lunch, Dr. Ashley O’Donoghue (Head of Staff Learning and Development at DIT) gave a short talk on the importance of professional development both for individuals and for knowledge organisations. She highlighted research which showed that training and development opportunities are a determining factor in the retention of highly-motivated employees (Boxall et al, 2003) – and also provide a major attraction for managers to draw new staff to their organisations. Frameworks such as those being developed to support the National PD Framework play a vital role in mapping clear career development and progression within key sectors in Higher Education. After a generous lunch we were encouraged to participate in discussion on the Framework and the L2L project in a ‘World Café‘. Groups discussed questions such as ‘How do your libraries contribute to T&L in your organisation?’, ‘How do you see your role as a teacher?’, and ‘How do you think the L2L project might help you in your role?’ (paraphrased), with each group mapping their ideas onto large paper, hung around the room. 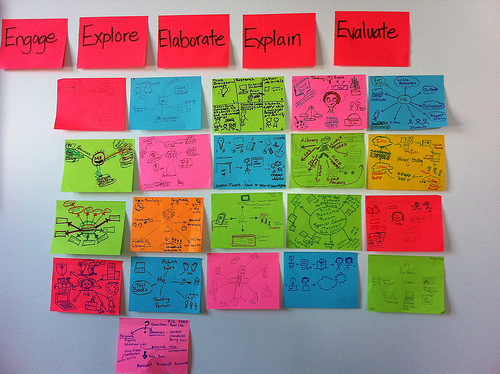 Afterwards we had the chance to circle the room and write our feedback to each group poster with post-its. The day wrapped up with a helpful Q&A session chaired by Dr. Mary Delaney (Head of Library and Information Services at IT Carlow) who answered questions from the floor regarding the other groups (apart from academic librarians) who were developing projects around the Framework, and what form the ‘communities of practice’ mentioned in the L2L leaflet might take. It’s hoped that there might be avenues of communication and collaboration between this new initiative and other interested parties such as the Library Association of Ireland which might help to provide pathways of sustainability into the future. Overall the day was an extremely positive experience, with a good mix of discussion and explanation and the L2L project looks and sounds like it will be a very fruitful collaboration amongst academic librarians and between libraries and our colleagues in Higher Education which should promote dialogue around the role and identity of teaching librarians. Presentations from the day and updates about the project will be posted on http://www.teachingandlearning.ie/l2l-librarians-learning-support-learners-learning/. You can also follow developments on the project’s Facebook page and Twitter feed. Post by Genevieve Larkin, Assistant Librarian in Marino Institute of Education. The Academic & Special Libraries Conference is always an annual highlight in the Irish library calendar, and 2015 was no exception. Hosted in a new venue this year – the Gibson Hotel – it proved a jam-packed one and a half days, with presentations and posters exploring the vital collaborative and transformative opportunities that libraries are taking to develop unique projects and enhance their services. Opening the conference on Thursday, journalist and editor Malachy Browne gave a fascinating account of the work being done by Reported.ly, a start-up company he moved to after working for the Dublin-based Storyful. Reported.ly is a news organisation that operates exclusively through social media, verifying sources, including images or videos. Naturally, the intense focus on evidence and trusted information appealed greatly to the conference audience, but it was sobering to see how easily the location and other personal details of some people can be traced through their use of various websites. I’m sure I wasn’t the only attendee who double-checked the privacy settings on my social networking sites after getting home on Thursday evening! In the first case study of the conference Helen Fallon from Maynooth University Library spoke about the Ken Saro-Wiwa Collection. Saro-Wiwa was a poet and environmental activist from Nigeria who was executed in 1995, and his personal correspondence to an Irish missionary nun, Sister Majella McCarron, was donated to Maynooth University. The library collaborated with a number of external partners to produce a book and an audio archive based on the material. It seemed that working with Kairos Communications, a media and training company, proved particularly successful, as it provided an opportunity for the team to build up their technical, media and promotional skills. 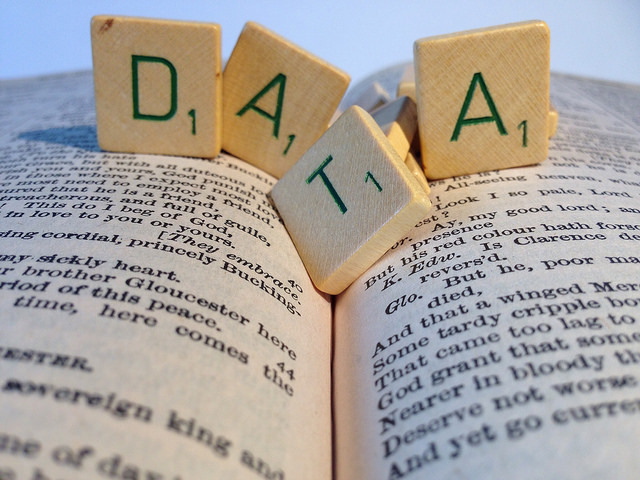 “Research Data Management” by janneke staaks is licensed under CC BY-NC 2.0. Parallel sessions that afternoon included a case study of The Forgotten Zine Archive by Tom Maher and Mick O’Dwyer, and an overview of the librarian’s role as ‘databrarian’ by Jenny O’Neill from the Digital Repository of Ireland. I attended Jenny O’Neill’s talk, in which she outlined the substantial changes that have occurred in skills requirements for librarians in recent years. This was followed by a series of Pecha Kucha talks, two of which highlighted literacy issues: Mary Delaney from IT Carlow focused on the library’s role in digital literacy training, and Jenny Collery talked about designing a programme to enhance critical thinking skills amongst third level students. Laoise Doherty, meanwhile, from the Royal Irish Academy of Music Library, spoke about collaborating with the RIAM Opera Project, to provide them with an online exhibition space, a project that has led not only to further collaboration, but to the use of the library as a performance and event space. The first day finished with a hugely entertaining presentation from UCC Library’s Martin O’Connor, who was part of a team that curated a Sir Henry’s-themed exhibition at UCC Library over the summer of 2014, based on the history of the famous Cork nightclub. Overcoming a number of technical glitches and a rogue fire alarm, O’Connor gave a great account of his collaboration with UCC Social Sciences academic Eileen Hogan and radio DJ Stevie Grainger, to bring the exhibition together and promote it. Crowdsourcing for information and anecdotes about the club through a Facebook page established a great relationship with the community and even with members of the Irish diaspora as far away as Australia. The project was very successful for the library, raising the profile as well as the expectations of what libraries can do. “Library Photography Competition 2011 entry” by Rich Grundy is licensed under CC BY 2.0. Day two of the Academic & Special Libraries conference was opened by Helen Shenton, Librarian and College Archivist at Trinity College Dublin, who spoke at length about the transformative shifts that are occurring in libraries across the globe in response to new technologies and expectations. She shared several examples of academic libraries in the United States that have embraced new collaborative projects and opportunities to transform the concept of “library as place, and place as library”. Helen’s presentation was an absolutely inspiring call to action for librarians. The first case study on Friday morning was delivered by Elaine Bean from Maynooth University, who spoke about two literacy programmes that the library has developed for students, including a fantastic literacy module created for second level students to ease transition to the third level environment. Elaine was followed by Monica Crump from NUI Galway, who discussed the importance of stepping outside the library walls in order to forge all those collaborative relationships that were being showcased by the conference speakers. It was difficult to choose between all the parallel sessions, which included presentations and workshops by Fintan Bracken, Arlene Healy, Anne Culhane, Stephanie O’Keeffe, Jane Burns and Roy Murray, but in the end I decided to sit in on Mary Dunne from the Health Research Board, as she spoke about the value of communication and open discussions around user needs, having worked with stakeholders on the building of new online resources. Jessica Eustace-Cook from Trinity College Dublin gave a really useful and relevant breakdown of how to go about fundraising for special events, such as seminars, exhibitions or book launches. Jessica’s background on the exhibition circuit in the UK has proved a distinct advantage in helping her to fundraise for the A&SL, demonstrating the value of bringing skills from other jobs into everyday library work. 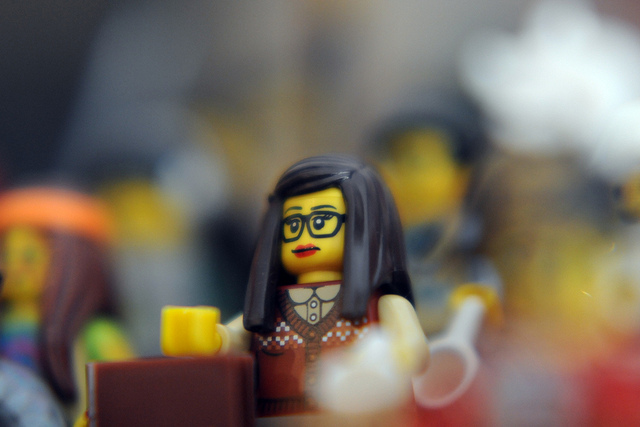 “librarian” by Joachim S. Müller is licensed under CC BY-NC-SA 2.0. In the afternoon, Aoife Lawton from the HSE outlined further the benefits of partnerships, particularly within the health library and repository sectors. She commented that, while impact can sometimes be hard to measure, it is important to forge ahead with collaboration and communication, especially to minimise duplication of effort across the library sector. “Innovation is the new service” at Maynooth Library, according to Hugh Murphy and Michael Leigh, who spoke about setting up and maintaining a 3D printer at Maynooth University Library. 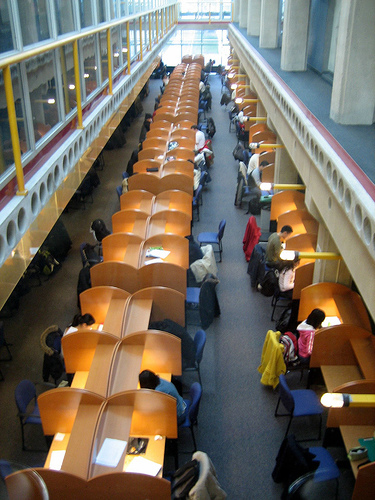 The introduction of such facilities in academic libraries is increasing in other countries and the team at Maynooth recognised a valuable opportunity for the library to collaborate with other departments in the university to provide a neutral and open space for students to come and use the printer for specific courses. As the talks wound down, Laura Connaughton was awarded a prize for her poster detailing the requirements and benefits of applying for Associateship of the LAI. The poster exhibition had included many interesting case studies of collaborative projects. As it does every year, the conference provided a superb platform for demonstrating the phenomenal work being done by librarians from academic and special libraries all over Ireland. It was difficult not to conclude that collaboration will play an increasingly vital role in the successful development of library services and special projects. It is a challenging time for libraries, but a very exciting one nonetheless. Presentations and videos from the conference are available on the A&SL website. The HSLG and the AS&L have announced that the MAXIM course (maximising the impact of your library) will take place at the end of June. This is a wonderful opportunity to further your career development. You may remember that this course was postponed earlier in the year, but is scheduled to run from June to September. What is the Maxim course? 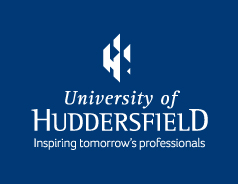 It is an e-learning course, managed and certified by the University of Sheffield, a university with many years of relevant experience in delivering similar courses. It is also highly relevant for anyone working in the library field. The HSLG and the AS&L are also offering part-bursaries of €145 to members who wish to participate. These are dependent on completion of the course. Please register with Eva at hornunge@tcd.ie if you are interested in one of the bursaries. Course finishes: 12th September (including one week at the end to prepare and submit your work portfolio). Are you interested in becoming an academic librarian? Do you want to know more about how academic libraries are operating in Ireland right now? DBS Library have announced an exciting seminar to take place on Friday, 13 June in their premises on Aungier Street in Dublin. The lineup of speakers looks brilliant, and includes talks on different types of software that are in use in academic libraries, librarians and research, new developments in technology that can impact on the modern academic library, as well as how different academic libraries can work together for their own (and their students’) benefit. Not surprisingly, we have heard that places are being taken up fast, so book your tickets! 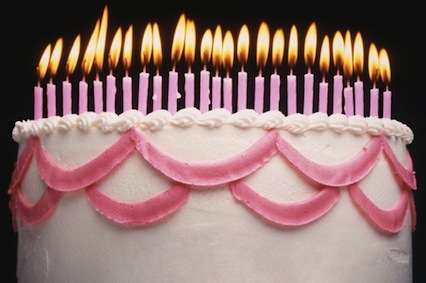 A big birthday cake for Rathmines Library, as it’s celebrating its centenary this month with a number of special events, with the official anniversary celebration taking place on Thursday 24th October in the presence of Dublin City Lord Mayor Cllr. Oisín Quinn. The LAICDG recently held an event in the Rathmines Library and we can attest to it being a wonderful resource in a beautiful building with some fascinating events taking place during the month. 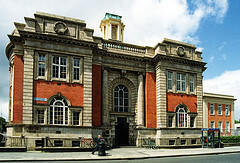 OPEN HOUSE Dublin 2013 – Library tours are open on a first-come, first-served basis on Saturday 5th October from 10.00am – 2.00pm. ‘The South Circular Road, Dublin, on the eve of the First World War’, – A book launch and introduction by Dr. Séamas Ó Maitiú and talk by author Catherine Scuffil, MA BBS (Hons) on Tuesday 8th October at 6.30pm. Leinster Bowling Club, 1913 – 2013, a talk by Pat MacDonagh, President Leinster Bowling Club, Observatory Lane, Rathmines on Thursday 10th October at 6.30pm. ‘Andrew Carnegie, The Library Man’ a talk by Brendan Langley, local historian with a long association with the Rathmines, Ranelagh and Rathgar Historical Society on Tuesday 15th October at 6.30pm. ‘Irish Carnegie Libraries, an Architectural History’ a talk by Brendan Grimes, Architect and former lecturer of the School of Architecture, DIT. Wednesday 16th October at 6.30pm. ‘Rathmines Library, 100 years of ideas, knowledge and information’ a talk by Helen O’Donnell, Senior Librarian, Rathmines Library – on Thursday 17th October at 6.30pm. Rathmines Writers’ Workshop and friends, a recital of their own work. Saturday 19th October at 2.30pm. ’The Rathmines and Rathgar Musical Society: 100 Years’ a talk by Nora O’Rourke, Production Secretary of the Society on Monday 21st October, 6.30pm. A History of St. Louis High School, Rathmines: 100 Years. ‘St. Louis High School, Rathmines, Céad Bliain ag Fás le Chéile’ a talk by Sr. Eilís O’Thiarnaigh on Tuesday 22nd October at 6.30pm. A Sense of Place’, Literary Evening, local authors discuss the locality and how it may have influenced their writing, chaired by Niall MacMonagle. Authors booked to take part are: – Evelyn Conlon, Macdara Woods, Siobhán Parkinson and Fintan Vallely on Wednesday 23rd October, 6.30pm. ‘Hannah and Francis Sheehy Skeffington a Family View’, a talk by Dr. Micheline Sheehy Skeffington, NUI, Galway on Wednesday 30th October at 3.30pm. The related exhibition ‘Hannah and her Sisters’ will be display during October. Rathmines, Ranelagh and Rathgar Historical Society hosts the Rathmines Library Centenary Lecture: ‘The Gaelic League in Dublin in 1913: 20 years a-growing?’ – Dr. Séamas Ó Maitiú, Dublin schoolteacher, lecturer and writer on Thursday 31st October at 8.00pm. A Presentation to all local schools on the history of Rathmines Library and locality. Short Story Competition marking the centenary year. Brian Gallagher, children’s author, talks about his book Across the Divide which is partly set in the Rathmines area in 1913, the year of the Dublin Lockout and the year the library opened. Children’s Art in Libraries Autumn programme. Full details on the Library and its events are here. All events require booking in advance so do contact the Library. ANLTC’s event on Library Impact and Assessment: an overview. The ANLTC (Academic & National Libraries Training Cooperative) held an event on Library Impact and Assessment in Trinity College Dublin on May 7th 2013. The assembled library staff from DIT, the Irish universities, the Universities of Huddersfield and Leicester discussed the impact analysis work underway at their institutions. With attrition rates of 8% in the Universities and 22% in the Institutes of Technology (IoTs) there is a lot to be concerned about. Here is a summary of the day. Carmel O’Sullivan (UCD) introduced the day by reminding us how high up the higher education national agenda the topics of assessment and measurement are. The first speaker, Mary Antonesa from NUIM, reported on the 2012 CONUL ACIL survey. Mary reported that students indicated a preference for library workshops, advice and lectures, in that order. The survey found that the more explicit a library is about learning outcome the more successful the IL intervention is likely to be. The results also indicated that faculty view the Library as having a positive impact on grades. The final report of this survey was sent to CONUL and the questions used in the survey are available in the report. Lorna Dodd from UCD reported on the findings of a survey delivered to 1,900 module coordinators in UCD in 2012. With reorganization and staff attrition UCD has 6 college librarians where they once had 15-17 liaison librarians. These librarians still serve the same user population but could not continue to do IL the way they always did. Among the changes put in place for IL delivery was a shift from a module to a programme approach, library staff no longer involved in tours, provided active learning tailored to specific subject needs; including online offerings. Ciara McCaffrey (UL) reported on the experience of Irish libraries that ran LibQual, the ARL student satisfaction survey. The libraries interviewed reported LibQual’s greatest selling point as its ability to generate data that allows libraries to compare themselves with others, and yourself, over time. The results achieved by Irish libraries in LibQual indicate that our library buildings are coming up short in terms of ‘customer’ expectations of them. Not surprisingly for many CONUL members, noise also continues to be a concern for library users. There is a lot of data in LibQual that we are not utilizing fully at present; there is scope there to do more with the data. Ciara called for another CONUL notebook so that we get a measure of how Irish libraries are doing now. 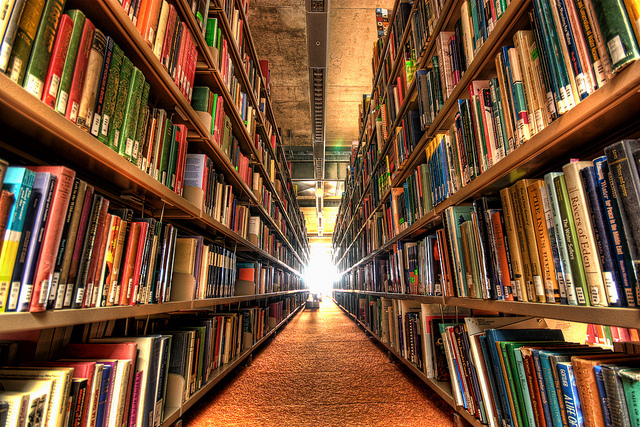 · Business students do not use as many books as we thought they did although they ask for more books – maybe their expectations of the library are very low? · Chinese students use fewer e-resources, generally, than other nationalities, is this because of a tendency to do group work, share a resource? · Computer Systems students not using library resources but still getting their degrees, should they be participating in ‘good academic practice’ and reading appropriate material? Their lecturers are compiling relevant reading lists. The latest project that Graham is involved with is called LAMP and this will attempt to create a dashboard where data collected centrally can be used to flag a problem or pattern in student behaviour or engagement with services, initially at University of Manchester & Huddersfield. Jonathan Drennan from UCD reported on the design and implementation of the first Irish National Student Survey. The Irish survey emulated the AUSSE (Australian Survey of Student Engagement); a 120 question survey that measure the extent to which students are engaged in good educational practices. Results of the survey will be available to institutions in September. Jonathan referenced a book called Ivory Tower Blues by James E Cote. According to Jonathan, there are interesting parallels between the Irish and Canadian education systems particularly as it relates to the transition from secondary level to third level education. Jo offered a very practical tip to anyone planning to run a survey; before running a survey tell them what you’ve done out of last survey, in a ‘You said, we did’ style of communication. None of these tools have advanced text analysis like Google offers but of the three; NVIVO is currently the most flexible option. If awareness raising was the goal of this ANLTC event this was certainly achieved. I felt that we were left with as many questions as we got answers. The speakers described the many connections that exist between libraries and student success but it was made clear at the outset that while there is a correlation between library activities and student success, causation can’t always be inferred. The results of the first Irish National Student Survey will be an interesting set of data to look at when thinking about library usage as it relates to student attainment. Data collected from UCD students last year suggests we should give strong consideration to continuing tours of the library. Lorna (UCD) reported that while students may request tours they may be doing this in a ‘box-ticking’ way rather than with any real purpose. The UCD survey found that tours featured behind workshops as students preferred means of getting library instruction. Our colleagues at Leicester and Huddersfield also reported the demise of tours in their libraries. The attendance and level of interest among yesterday’s attendees highlights that within the assessment community there is an appetite for collaboration in this area. Using the knowledge and experience of the CONUL Task & Finish Group on Metrics and perhaps looking outside the traditional library skill set might be a next step for a collaborative effort to advance the excellent analytics work already underway. Author laicdgPosted on May 8, 2013 January 28, 2015 Categories Guest Posts, Other Library EventsTags academic libraries, ANLTC, assessment, CONUL, Huddersfield, JISC, LibQual, library assessment, MIchelle Breen, NUIG, NUIM, research, students, survey, UCD, UL, vleLeave a comment on ANLTC’s event on Library Impact and Assessment: an overview. The second half of the conference was given by Daniel Murray. Here Daniel focused on Professionals out of work and the New Professional entering. Internships and job bridging schemes are now the way to access experience and to keep the skills you have, fresh. Daniel drew from his own experiences of finishing the MLIS and securing two internships one located in a school library another within cataloguing, it was these areas that he felt very out of depth as these were not the specific job situations he had envisaged himself in. However he adapted his skills from MLIS and used them to his best ability within the two internships. Daniel used a similar approach to Giada, however within these two situations, 1) keep the contacts you have 2) keep within the circle of professionals. As a new professional coming into the scene I find that constant interaction with those involved with conferences, committees, and organisers will be the people you will time and time meet and through these people you will build up a connection. Daniel gave a very engaging presentation with funny slides to make a seemingly drab topic very interesting, he was very honest in the way you have skills! You are a professional! So you still belong within the circle even though at the moment you are somehow removed from it. However, by building your connections and engaging in conversation you will keep from being “outside”. As the presentation came to a close two questions were posed to the floor, as myself and my other classmate were the only students/new professionals we took a back seat, which was interesting, as the discussion between the fellow librarians was very lively. It was really good to see their perspective on the discipline. As one man noted that it was great to see the enthusiasm of the LAI CDG and that it is a fabulous engaging way for the people who are in the industry and a bit ‘tired’ (even though he was very careful in how he was saying it) that the dialogue between the people embedded and the new minds entering is what we should be doing, each can learn from one another. I am thrilled to be a part of the LAI CDG, I have a lot of admiration for the committee and am excited to be able to help them create and build this blog. The many aspects Giada and Daniel spoke of is embedded with the MLIS, one of the modules which I have taken this semester is “Contemporary Issues in Professional Practice” and is run by Maria Souden. The content is diverse and the assessments are very engaging, as part of a continuous path we have established our own blogs, we post weekly about the topic discussed in class and the readings/other information. It is this platform that has given me a confidence I never had before, to freely put your thoughts out there for anyone to read and comment on is a daring move, but I love it. The feedback you get keeps you going and wanting to say more, and the many topics you want to cover you never know where it might fit within the content already there. It makes you strive for bigger and better things like reaching out to others and doing guest posts for them. Well done guys, best of luck with future projects, GOOD LUCK! LAI CDG Create a free website or blog at WordPress.com.